Buying fraternity gifts online is optimal because you get such a wide selection. 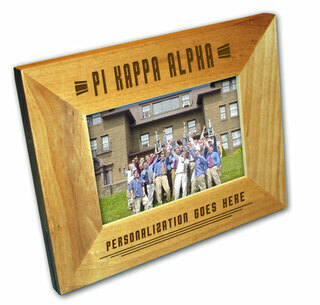 Also, items like these Pi Kappa Alpha Paddles and Picture Frames are hard to find in stores. Paddles are often used as decor for Greeks who can really appreciate a nice piece of wood. 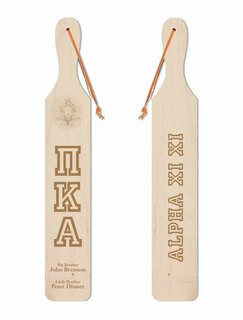 When you see the Giant Pi Kappa Alpha Graphic Paddle up close you'll fully understand why these gifts are so cherished. 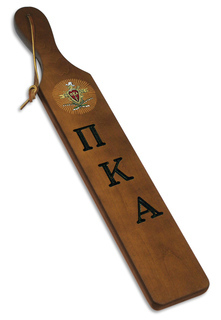 The paddle is designed with the Pike coat of arms, letters and detailed information about the member (that's for you to enter). Personalization options include big brother, little brother, chapter and year. At Greek Gear you also have the option to create your own paddle from scratch. You can't fully appreciate the beauty of a memorable photo if it's tucked away inside of your cellphone. Bring it out for the world to see by putting one inside of a nice setting like the Brush Silver Frame. It's also personalizable, with a space for the name of the person featured, date or a short meaningful message. 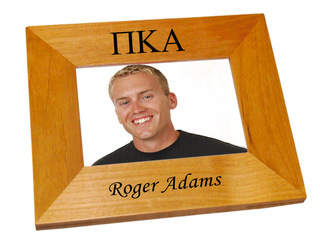 A special time or occasion like going Greek deserves a special gift, like Pi Kappa Alpha Paddles and Picture Frames. If you have questions about your gift order, get in touch with the Greek Gear customer service team. Pi Kappa Alpha Paddles & Picture FramesThe Greatest Selection. Period.